When you are flavoring and aging your own spirits and liquors, the flavoring essence is very important. After all, if you do not have any essence, you are really just letting neutral spirits sit around and gain age but likely not taste. So we offer a wide assortment of delectable essences which are perfect for use in any of your spirit-aging endeavors. If, perhaps, you consider yourself an experienced brew master, these essences are fantastic for use in any oak barrels you already possess - especially if you acquired your oak barrels from us! And if you are new to the wide world of personally aged spirits and liquors, then that is ok. These essences are still great for experimenting and figuring out just which flavor you prefer. Speaking of flavors, with choices that range from 3 different types of rum, 4 types of whiskey, orange brandy, and mead, you could be experimenting with flavors for quite some time, so you had best get started! Pick up one of our oak barrels, grab several bottles of our flavorful essences, and make some of your very own aged spirits today! 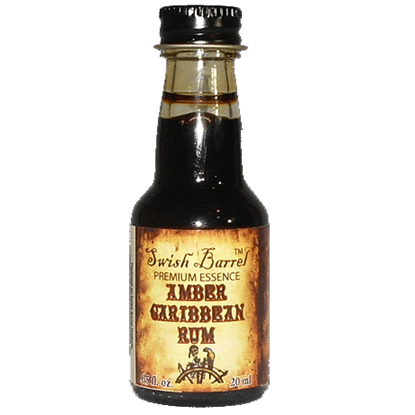 Make your own Amber Caribbean rum with the 20 ml bottle of Amber Caribbean Rum Essence. Based on the blend of barrel-aged reserve rums distilled from West Indies sugar cane, this essence is sure to please a pirates tastes. 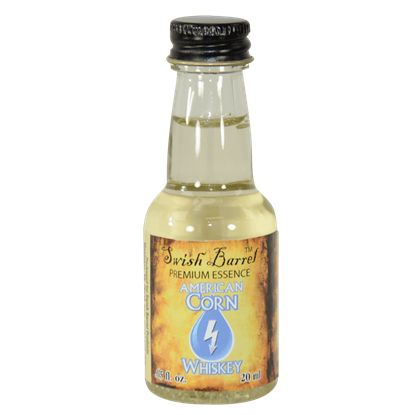 Now it's possible to make your own brew, using this American Corn Whiskey Essence! Better known as a variant of moonshine, this essence will impart a home-brewed whiskey flavor to your spirits, creating a unique flavor all its own. 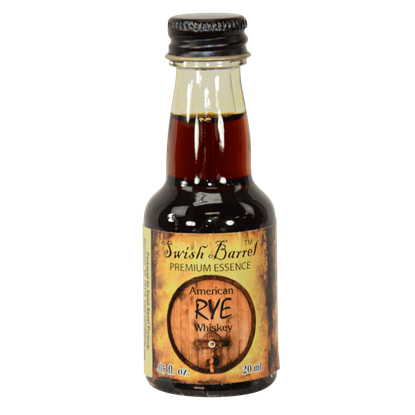 Now it's possible to make your own brew, using this American Rye Whiskey Essence! This essence will impart a spicier, drier whiskey flavor to your spirits, which makes for a truly distinctive brew, as well as a fine vintage to enjoy. 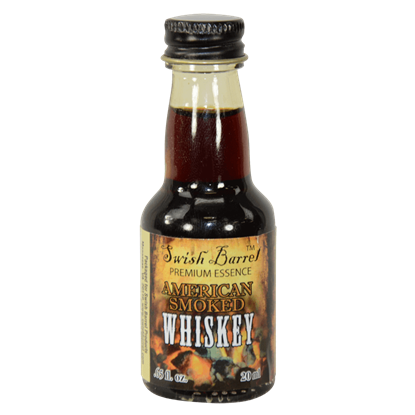 Now it's possible to make your own brew, using this American Smoked Whiskey Essence! This essence imparts a double flavor of smokiness, combining charcoal smoke with peated malts, which makes for a rather fine tasting spirit. 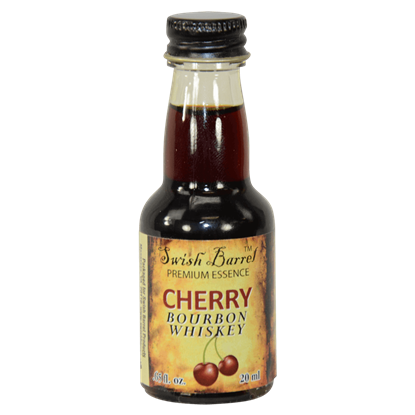 Now it's possible to make your own brew, using this Cherry Bourbon Whiskey Essence! This essence imparts a fruity edge to the traditional taste of Kentucky bourbon, which makes for a decidedly innovative and fine tasting brew. 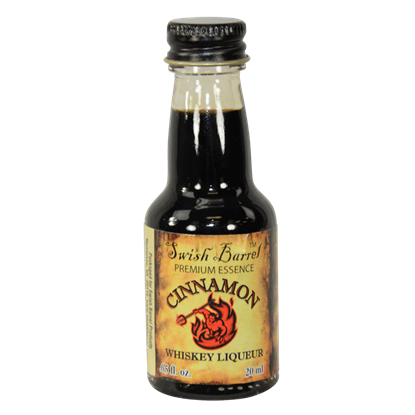 Now it's possible to make your own brew, using this Cinnamon Whiskey Liqueur Essence! 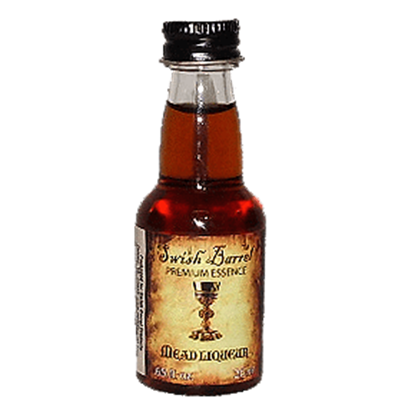 This bottle of essence will impart the flavors of fiery cinnamon and rye whiskey to your spirits, which makes for a truly distinctive tasting brew. 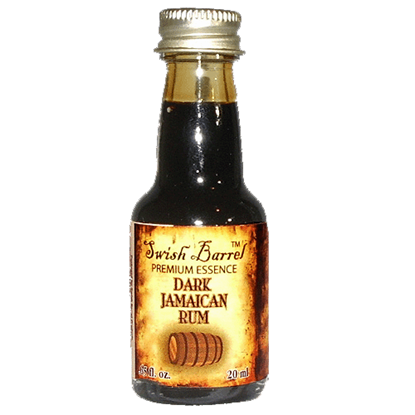 Make your own Dark Jamaican rum with the 20 ml bottle of Dark Jamaican Rum Essence. Based on the blend of special golden rums distilled from West Indies sugar cane, this essence will create a spirit that is sure to please. 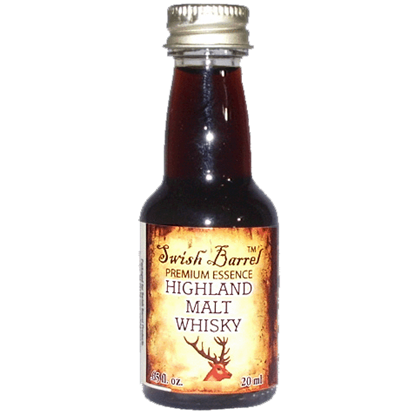 Make your own Highland Malt Whiskey with the 20 ml bottle of Highland Malt Whiskey Essence. Once made using pure Scottish spring water and peated barley, now you can make this spirit in your home and age it to perfection! 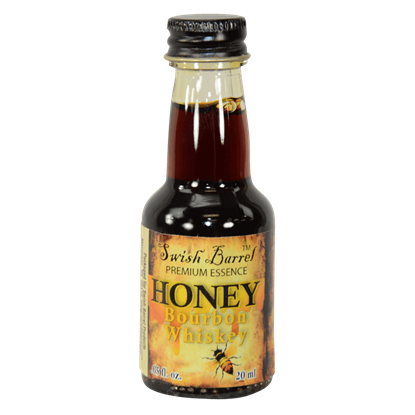 Now it's possible to make your own brew, using this Honey Bourbon Whiskey Essence! 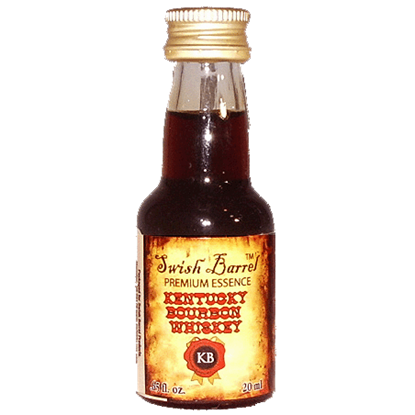 This essence imparts a delightful and bright flavor, merging Kentucky bourbon with honey, which makes for a rather impressive and tasty brew. Make your own honey mead with the 20 ml bottle of Honey Mead Liquor Essence. Sometimes called the nectar of the gods, this golden drink of fermented honey was a preferred liquor of the Greeks, the Vedas, the Celts, and the Vikings. 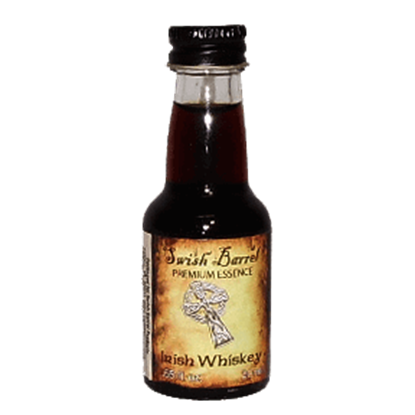 Make your own Irish Whiskey with the 20 ml bottle of Irish Whiskey Essence. Sometimes called the water of life, this essence allows you to recreate the original Ulsce Beatha, or Gaelic whiskey, invented by monks in the 5th century. Make your own Jim Beam style Kentucky Bourbon Whiskey with the 20 ml bottle of Kentucky Bourbon Whiskey Essence. Get the classic American charcoal mellowed corn whiskey taste and start aging spirits to your taste!